I have subscribed to MIT Technology Review for almost a decade…it remains one of my best sources for what is emerging in technology. 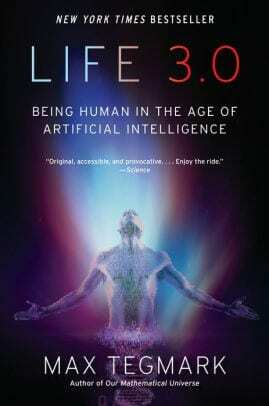 In a recent article, Bill Gates noted his ten favorite books about technology…and first on the list was Max Tegmark’s (2017) Life 3.0: Being Human in the Age of Artificial Intelligence. Apparently I am behind the times, as former President Barack Obama also listed this book as a favorite he read in 2018. Obviously, their hope is on the former…not the latter! 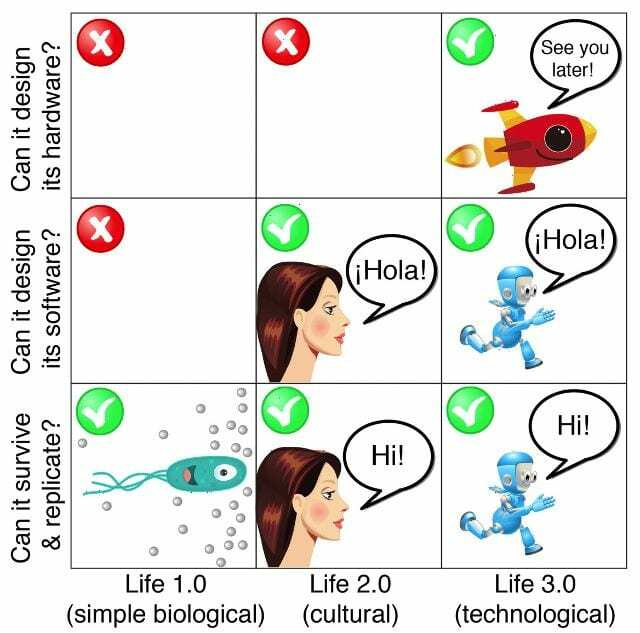 Tegmark defines Life 3.0 as the coming technological age of humans (we are not there yet), with Life 1.0 being biological only in nature…abilities hard wired in DNA, and Life 2.0 being cultural, i.e., the ability to learn. 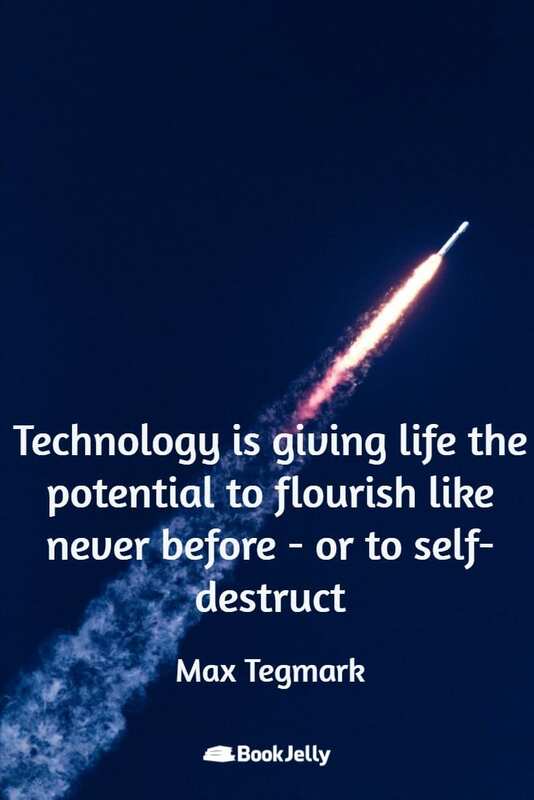 Tegmark purposely uses definitions that could be applied to both human beings and intelligent machines, and for the most part, the book is meant to spark discussion on what it would mean if or when machines reach human-level intelligence. 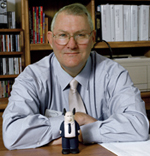 The books consists of a number of chapters…some fairly fact-based and others pretty speculative. 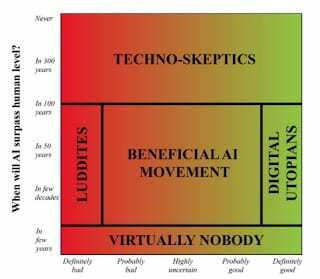 Tegmark noted that his audience includes Luddites, those that are skeptical that we will ever reach human-level intelligence, those who foresee a utopian society after AI exceeds human ability, and the majority that hope to shape AI to be a beneficial movement. Tegmark’s main argument is that the risks of AI in the future come not from Terminator-like machines or a consciousness that sees us like ants…but rather from the misalignment of the goals of AI with those of humans. Artificial intelligence development is at the forefront of big companies like Google, Facebook, and IBM, as well as hundreds of start-ups. How to do this in ways that align with goals of humanity (and who decides those goals) remains elusive. Just this past week, Google announced it was going back to the drawing board on its AI ethics panel when some complained that the membership was anti-LGBT. So figuring out how to shape AI as a beneficial movement is still just beginning. In some ways, his push for shaping AI as a beneficial movement aligns with Joseph Aoun’s book (2017) Robot-Proof, which suggested that the fear of AI is misplaced, and that we need to realign higher education towards more of a lifelong learning environment so that we humans can continue to evolve as AI evolves. Aoun noted that technology has always impacted humans ever since we figured out that flint was sharper than fingernails. Aoun is optimistic that our future involves partnering with artificial intelligence. Tegmark suggested in his opening that shaping the future of AI is the most important conversation of our time. Maybe the second most important is reflecting on the impact racing with machines has for higher education and leadership in general. You make a great point that although we are constantly in a race with machines, we must also consider the impact. Just this morning I came across and article on CNN.com describing how a company in Abu Dhabi is incorporating AI in the classroom…of young children. While the digital platform focuses on core topics (english and math), it also serves as an evolving database of knowledge, tailorable by each student. To me I can only think of a personalized digital tutor, which would have been awesome as a young kid to experience. I have also been looking into the USAF’s recent pilot training initiave “Pilot Training Next” (PTN) which replaces traditional flights in a T-6 aircraft with Virtual Reality (VR) flights. Many can argue this initiative is in response to the pilot manning crisis in that the time to complete pilot training is now reduced with supplemental VR flights, but as a commander it worries me that we are allowing technology to out-pace us. The first graduates of this new PTN course may not be arriving at my base soon, but I hesitate to believe that a VR flight is an equal replacement to an actual flight in an aircraft. So in this case, how to do we temper the appropriate level of technology to ensure we are not relying on AI and VR to replace fundamental skills? Good points, Cat. I could see VR streamlining the time to get pilots in to the cockpit (after all…astronauts spent hours in simulators before flying the space shuttle)…but VR cannot (yet) simulate G forces or the intangibles that time in the cockpit teaches. So nearly 25 years ago Hollywood depicted Michael Douglas navigating a VR library with the ability to locate a file and access information from a virtual file cabinet. How far might we be from seeing a similar setup the size of our smartphones? Can we begin to imagine what will be imagined in the next 25 years? As we explore how km is used and it is hard to construct an idea of what is yet to come. At times, the pace it takes to acquire the training and fluency to manipulate the latest and greatest tool or hardware only to face the next big thing to come along and we will have to retrain or retool. This is the reason I think AI will eventually surpass us in ultimate productivity. “…Can we begin to imagine what will be imagined in the next 25 years?” I go with Kevin Kelly’s quote that any believable prediction will be wrong and any correct prediction will be unbelievable. Twenty-five years ago, I was working on my doctorate (saving my drafts on multiple 3.5 inch floppies in case one crashed), and had a vast collection of music CD’s…including several albums by a young pianist Keiko Matsui. Today, I rarely use a thumbdrive, save my documents to the cloud, and listen to my favorite artists – including Keiko – on Pandora. And tomorrow night, she is in town and I will be attending her show at a local jazz club. I could have never have envisioned this future 25 years ago…and I would not attempt to look forward now!